New Front Cage Kit for 66-77 Classic Ford Bronos. 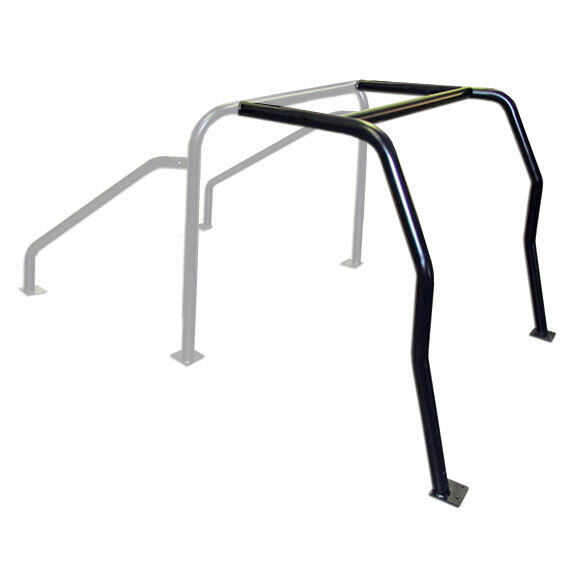 This kit allows you to upgrade your existing Standard 4-point Interior Bar to a Standard 6-point. This provide the driver and passenger added protection in the event of a rollover. Without the front cage, there is only two bolts preventing the front windshield frame from collapsing down upon the driver and passenger in the event of a collision. This cage will provide the security of two 2 inch, .120 wall bars to help prevent the windshield frame from collapsing. Comes bare metal. Installation of front cage kit requires some welding. Fits 1966 to 1977 Ford Bronco. Requires some cutting and welding for installation. Will fit under factory hard top and all major soft top brands. Ordered this front cage kit and it literally shipped the very next day, and arrived 2 days later well wrapped and in perfect condition. Thanks for the great products and terrific customer service!! !